St. Martin's Griffin, 9780312327002, 240pp. "I have to be honest with you. Islam is on very thin ice with me.... Through our screaming self-pity and our conspicuous silences, we Muslims are conspiring against ourselves. We're in crisis and we're dragging the rest of the world with us. If ever there was a moment for an Islamic reformation, it's now. For the love of God, what are we doing about it?" In this open letter, Irshad Manji unearths the troubling cornerstones of mainstream Islam today: tribal insularity, deep-seated anti-Semitism, and an uncritical acceptance of the Koran as the final, and therefore superior, manifesto of God's will. But her message is ultimately positive. She offers a practical vision of how Islam can undergo a reformation that empowers women, promotes respect for religious minorities, and fosters a competition of ideas. Her vision revives "ijtihad," Islam's lost tradition of independent thinking. In that spirit, Irshad has a refreshing challenge for both Muslims and non-Muslims: Don't silence yourselves. Ask questions---out loud. The Trouble with Islam Today is a clarion call for a fatwa-free future. Irshad Manji is an acclaimed journalist, lecturer, and human rights advocate based in Los Angeles. Recognizing Irshad's leadership, Oprah Winfrey honored her with a Chutzpah Award for "audacity, nerve, boldness, and conviction." Ms. magazine has named Irshad a "Feminist for the 21st Century." She is also a recipient of the Simon Wiesenthal Award for Valor. 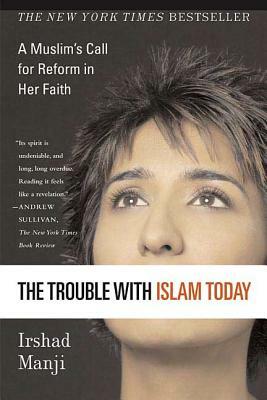 She is the author of The Trouble with Islam and The Trouble with Islam Today.